You are saving and investing to finance an old-age retirement. A very basic question you need to have an answer to is — How much do you need to save to be sure your retirement will be a comfortable one? We turn to The Retirement Risk Evaluator for the answer. The calculator tells us that, if your retirement begins at a time of fair-value prices, the safe withdrawal rate for an 80 percent stock portfolio is 5.41. That means that, if you start retirement with a portfolio of $1 million, you may take out an inflation-adjusted $54,000 each year to cover living expenses and be 95 percent sure that you will not run out of money for 30 years. The assumption here is that you will retire at 65 and that it is unlikely that you will live past 95. A plan that works for 30 years is a plan that works, period, according to this assumption. But there are circumstances in which the assumption is not a good one. More people are choosing early retirement all the time. And life expectancies have increased dramatically in recent decades. 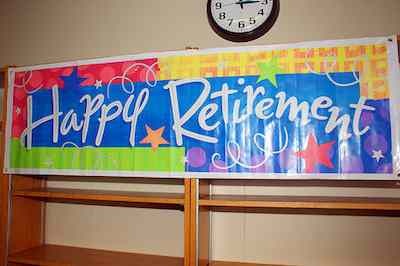 What if you retire at age 40 (I know people who have done this!) and believe that you may live to 100. You need a plan that works not for 30 years, but for 60 years. The intuitive thought is that you are going to need twice as much money to put together an equally safe plan. You are going to need $2 million! Oh, my! One of the choices you make with the Risk Evaluator is the amount of the portfolio you want to insure will remain at the end of the retirement. The default choice (the one I went with in the calculation above) is a portfolio balance of zero. This is the choice made in all safe-withdrawal-rate studies and calculators. But the Risk Evaluator permits you to change the portfolio balance assumption and see how that changes the safe withdrawal rate. How much do you think it will change the withdrawal rate to change the portfolio balance choice so that 50 percent of the initial portfolio balance remains at the end of 30 years? No one guesses right re this one. Lower your annual takeout from $54,000 to $50,000 and you can be 95 percent sure of having $500,000 remaining in your portfolio at the end of 30 years. Pretty cool, huh? Let’s take it a step farther. What if you want to have a permanent retirement plan, one that will not run our of money in 30 years or 60 years or even in 300 years or 600 years? How much more will you have to reduce spending to achieve that goal? Guess. Again, you won’t get it right. But it’s fun to try. It would take another $4,000 spending reduction. Reduce spending to $46,000 and your retirement portfolio is guaranteed (95 percent certainty) to have the full $1 million starting-point value (inflation adjusted) at the end of 30 years. At the end of another 30 years, it would of course still have the full $1 million remaining. Add on as many 30-year periods as you like and the result will never change. You could live as long as Methuselah and never run out of money if only you could manage to get by on $46,000 rather than on $50,000 (which yields 60 years of safe retirement) or $54,000 (which yields 30 years of safe retirement). The safe withdrawal rate is an extreme number. It is the number that works in a worst-case scenario. That’s the right number to use when calculating what is safe because, after all, you really might see a worst-case returns sequence in your retirement and this is not something that you get to do over if you happen to be unlucky. But it’s important to understand that, in the typical case, using the withdrawal rate that works in the worst possible case is going to leave you with a big portfolio balance rather than with a portfolio balance barely big enough to put food on the table. Change the realities just a little bit — by spending a small amount less than originally assumed — and you end up with a large portfolio balance. A counter-intuitively large portfolio balance. That balance earns compounding returns for as long as the retirement remains in place. The result is that spending a little less can extend the life of the retirement for a large number of years into the future. Are You Ruining Your Retirement? Remember that stocks provide an average long-term return of 6.5 percent real. So in ordinary circumstances the safe withdrawal rate should be 6.5 percent. No, it should be more than that. The 6.5 number is the number that would apply if you were using only gains to finance your retirement and not depleting the portfolio value at all. The typical assumption in these studies is that you deplete the account to zero over 30 years. So we should expect the safe withdrawal rate to be a number well in excess of 6.5 percent real. The reason why it is not is that we are making sure that the retirement will survive even a worst-case scenario. Change the spending number just a bit and the portfolio does more than survive. Long strings of bad return years (worst-case scenarios) are always followed by long strings of good return years (investor emotion swings from one extreme to the other). So retirement plans that are set back by a worst-case scenario but survive are retirement plans that will be growing at a quick pace in the following years. Cutting spending enough to cause your retirement plan to survive 30 years usually permits it to survive for time-periods far, far longer than that. We live in exciting times for investors. We are learning new things about the realities of stock investing risk all the time. These are definitely some interesting findings. Like you said, I would have thought the difference in withdrawal numbers would have been higher especially since you are talking inflation adjusted numbers. I’m not going to double check the math or anything, but when I get more serious in calculating my own retirment, I will definitely keep this in mind. Thanks for sharing your thoughts, SavingMentor. I can of course understand that you may not personally have the time or need to check the math today. However, we all very much need lots of others doing that. I am just one guy. I work this stuff hard and I try as hard as I can to be fair to all points of view. But no investor should ever trust what one flawed human says. We need to have lots of people checking my numbers and reporting back on whether they check out or not. I am in strange situation. Yale University Economics Professor wrote a book titled “Irrational Exuberance” which sets forth a model for understanding how stock investing works that is 100 percent at odds with the now-dominant model (Buy-and-Hold). I was persuaded by Shiller’s research. So I of course always use his model as the foundation for everything I write in this area. I was amazed to learn that there are no other websites exploring the implications of Shiller’s findings. I find this to be just incredible, given the importance of his work. But it really is so. It’s worse than that. Even Shiller himself doesn’t report on the practical implications of his research findings! He explained why in an interview. He said that, when he tried to do this, Buy-and-Holders got very upset. So he has learned just to keep quiet about it. I think that is a disaster. We need to know what people like Shiller think. Whether he is right or wrong, we need to have him expressing all his views so that we can examine them and either become convinced of their merit or more convinced of the merit of the Buy-and-Hold Model. What happened is that lots of investors made lots of money during the bull market and gave Buy-and-Hold the credit. Now they are emotionally attached to the theory behind Buy-and-Hold and don’t want to examine it for flaws. We need to always be reexamining our investing strategies. If we have made mistakes, we need to identify them and correct them. Anyway, please don’t go just by what I say. I hope that I can stimulate some discussion of these questions and that others will follow up with their own analyses either pro or con the ideas that I put forward. The only difference between Buy-and-Holders and Valuation-Informed Indexers is that Valuations-Informed Indexers take valuations into account and Buy-and-Holders do not. The controversy stems from the fact that that one factor (valuations) is so huge that taking it into consideration causes you to go with entirely different strategies. We need to have lots of people examining these questions if we are to come to a consensus as a society as to whether valuations really do make a difference or not. I’m not a numbers guy by nature. Far from it. But I love being able to look at the numbers from different perspectives for the purpose of gaining new insights into investing risk. There are all sorts of interesting angles to explore once you begin to dig into this stuff. I think you what you are describing here is rather misleading. You are surely talking about the differences in withdrawals to preserve your nominal wealth, not to preserve your real, inflation-adjusted wealth. With inflation, the purchasing power of your nominal wealth is eventually not going to amount to all that much. When it comes to Robert “Hocus” Bennett, one would be well advised to consider that any ‘facts’ coming from this self-admittedly innumerate wannabe should be taken with an enormous grain of salt. You are surely talking about the differences in withdrawals to preserve your nominal wealth, not to preserve your real, inflation-adjusted wealth. No, these are all inflation-adjusted numbers, Fact Checker. it are only in the 4 percent or 5 percent range. What could ever make failure a possibility? The answer is — You have to see a long string of bad-return years for this to happen. good return years. John Bogle describes Reversion to the Mean as an “Iron Law” of stock investing. possible for the rational human mind for us to imagine how we could ever see one. So the portfolios that survive the long string of bad returns are not going to just limp along. 600 years. This is what the math tells us. where your retirement portfolio will survive and thrive for many decades into the future. Thanks for stopping by to share your thoughts with us. Thanks for sharing your thoughts, Retired and Happy. I understand the story. But the story doesn’t quantify what the specific differences are. Did you even bother to double check whether the calculator is reporting the results for inflation adjusted wealth or not? How are you defining fair market valuation? And are you really saying that someone retiring at a time of fair market valuation and uses a 4.6% withdrawal rate with an 80% stock allocation really has a 95% chance that their money will last forever? William Bernstein might have something to say about that. Did you even bother to double check whether the calculator is reporting the results for inflation adjusted wealth or not? John Walter Russell was the co-creator of the calculator. He did the numbers work. I do not have a background in numbers, so I never touched that side of things. I did the conceptual work. John always used inflation-adjusted numbers in his calculations. If you are saying that there is some reason why you believe that he did not do that in this particular case, I would be grateful if you would let me know. If that were the case, it would change the numbers. The same general point would still apply, but the specifics would change and that’s important. If that’s the case, I need to know that to make a correction. I would be grateful if you would get back to me re this point. I obviously want to get the numbers right. I am not aware of any case in which John did not use inflation-adjusted numbers. But the calculator was created a good number of years back and it is not entirely impossible that I have forgotten something or failed to focus on something. If that’s the case, you would be helping us all out if you let me know of why you are focusing on this aspect of the question. The market is fairly valued when the P/E10 level (that’s the price of a broad index over the average of the last 10 years of earnings) is 14. And are you really saying that someone retiring at a time of fair market valuation and uses a 4.6% withdrawal rate with an 80% stock allocation really has a 95% chance that their money will last forever? You’re getting back to what you call “the story” with this question, Fact Checker. There’s a sense in which I understand your shock. I was shocked too to see these numbers too. There’s another sense in which I do not understand it. The numbers follow logically from some basic truths about stock investing. Stocks are an asset class that produce an average annual return of 6.5 percent real. Why shouldn’t you be able to take out 4.6 percent forever and ever? You are taking out two percentage points less than the darn asset class is producing each year. The odd thing would be if the numbers showed that that didn’t work. not that they show that it does. A stock portfolio is not a stable thing. It grows. The investor can take out the growth and live on it. The only problem is if he takes out too much and the portfolio collapses. So long as you are taking out less than the annual growth, that’s only a problem in the early years because, once the portfolio has grown to an even larger size, the odds of it ever collapsing all the way to zero become exceedingly remote. The key is not to place too much stress on the portfolio in the first ten years of retirement. If you take care to avoid doing that, you have every reason to expect many years and even many decades of growth (which permits take-outs of something less than the amount of growth). Are you able to say why you find this surprising, Fact Checked? I am NOT saying I don’t see it the same way. I do. I think that what is happening here is that we are discovering new things about how stock investing works and it is blowing our minds. It’s a little scary but it is also very, very exciting. I don’t blame you for being shocked by these numbers. I am suggesting that it would be a good thing if we all tried to get over our shock and spent a little time thinking through what this means re opportunities that are available for us to invest in far more effective ways in the future than we ever have in the past. William Bernstein might have something to say about that. I would be thrilled to hear what Bill thinks about it, Fact Checker. Bill danced up close to these issues in his book “The Four Pillars of Investing,” but never quite took hold of them. There’s a section of the book in which he calculates the safe withdrawal rate properly (I was the person who discovered the need to include a valuation adjustment to calculate the SWR properly — Bill came close to doing this one month before I went public with what I had discovered). He says something along the lines of “given today’s valuations, we would need to subtract two points from the Old School number of 4.” Then, instead of saying “So the SWR today is 2,” which is the logical conclusion of his discussion, he says “So the SWR could be 2, which is not precisely the same thing. The SWR is the product of a mathematical calculation, so you know what it is at the time you do the calculation. There is no “could be.” Bill had sufficient intelligence to know that he needed to do that calculation but lacked the courage (I am not making a dig, he is in good company re this one) to acknowledge clearly what his calculation was telling him. Do you see what I am getting at, Fact Checker? We are all on the verge of discovering some amazing things about how stock investing works. This wonderful process began in the late 1960s, when the Buy-and-Holders initiated the idea of rooting investment strategy in academic research and historical data. We got on the wrong track at one point because we did not yet have all the pieces we needed to solve the entire puzzle. Then Robert Shiller supplied the missing piece with his research in 1981 showing that valuations affect long-term returns. Now we are in the process of trying to acknowledge the significance of the Shiller addition. I have learned in my work that the implications of that contribution are very profound and far-reaching. We need people like Bill Bernstein helping us out with this project. So, if you are in a position to ask him to comment on this post, I would be grateful. I have interacted with Bill re these sorts of questions on several occasions in the past. He has taken a “No comment” policy. I believe that he understands the points but is afraid at this moment in time to take a public position because acknowledging that we got some important things wrong in the past would mean fixing a lot of things today. In the end, that of course would be a very good thing. But there is no question but that it would cause some short-term turmoil in the industry. At any rate, I would be thrilled to hear Bill’s input here. I am a huge fan of his work. In a nutshell, they currently pay out 6.6% for life for a 65 year old male. If one plans for the future a large part of one’s RRSP or non-RRSPs can be guaranteed for life! How is the stock market working for seniors today? Is taxes going down, or inflation? The only way to truly protect one’s money to to pass some of the risk to an insurance company…this is called Risk Management. Like home insurance what is the odds of a house burning down? Is it worth the cost or can you invest that difference and do better? I don’t know enough about annuities to feel that I could say something intelligent about them, Brian. I am grateful to you for sharing your thoughts with us. Most people don’t if you take a few minutes to read the story on Million dollar Journey on annuities you will see it really is like a pension fund steady guaranteed not exciting. At 6.6% for a 65 year old male guaranteed for life this is something to consider but requires long term planning. Then perhaps you had best slide that particular toy back into a shoe box under the bed unless and until you can either understand and explain it yourself, or hire someone to do it for you, eh? Little boys who play with things they don’t understand often do make a mess of it. Hi, Great article – you write in a style that I aspire to. However, I believe some of your underlying assumptions are wrong. Whilst an historic average of 6.5% may have worked in the past it would appear that stock markets are having difficulty in the last decade or so yielding this return (think of the past ‘lost decade’). Furthermore I think you need to take into account the fees incurred every time you want to sell a part of your portfolio – depending on how diversified your portfolio is you may need to liquidate several stocks which could result in substantial broker fees each year you wish to withdraw your $46,000. Whilst your exercise was interesting and thought provoking I do not think that $46,000 and $1,000,000 are the magic solution to an early retirement. There are way too many assumptions that you cannot rely on when it comes to your lifestyle going into the unknown future. Now I always hate a comment that poses only problems and no solutions so here’s my suggestion: This plan forms part of a solution to your financial freedom. I would strongly advocate building up a pension pot in the meantime. I’m currently writing a post on this very subject and so was quite intrigued by your article as a result. Let me know if you want me to email you when I’ve posted it. It should be up by Sunday night. But I genuinely believe that you’d find the argument convincing.